The ambitious Hong Kong Gig Week — seven gigs in seven days each with a different theme/genre — kicks off by hitting us, nay, carassing us with two top-drawer acoustic acts. 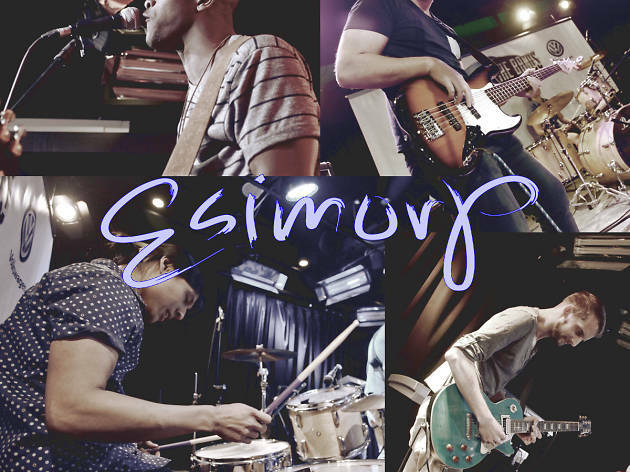 Esimorp and 9 Maps are the bands leading the vanguard and we catch up with the former to learn what we’re in for. 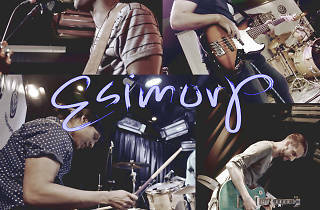 Hi Esimorp! What can you tell us about yourselves? We're from Hong Kong, the US and Australia but we all live in HK now. Each of us has quite a bit of experience not just playing music, but also songwriting and performing live. As a band though, we haven't been together too long. We're just four quirky friends who love making music and being stupid together. If we had to pick comparisons, we'd say our music aims to combine the lyricism of Mumford & Sons, the melodic focus of Coldplay and the energy of Kings of Leon. What are your thoughts on Hong Kong’s live scene? There's no shortage of obstacles and difficulties to overcome but there have also been numerous passionate musicians and supporters over the years who have contributed towards building a vibrant and active scene. We owe a ton to those early artists, many of whom are still around and working hard to improve the scene further. We're proud to play a small part! How important are events like The Gig Week in keeping live music alive in Hong Kong? Hugely important. Showcasing 100 percent local talent for a full festival does wonders to build pride in the scene. It'll be great to see how audiences react. How difficult is it to progress in the scene here? Progressing here is hard work but there's a real hunger that rewards those who push through. As far as improving it, at times it can seem a bit cliquish, to be honest. If bands start working together more and the audiences at shows become more blended and diverse, that's when things really stand a chance of taking off in a big way. It would take just a fraction of Hong Kong's population to rival the following of some bands in North America or Europe that are fairly established but not quite world famous. Follow the bands that you like. Go to their gigs; buy their music; tell your friends. Buy drinks at shows and support the venues. A local music scene really happens around the venues. Any tips for anyone looking to get involved in the scene, start a band, organise a gig? Reach out to people in the scene. We've received tons of help from other musicians and supporters in our short time together. The scene here boasts a solid network thanks to a continual history of people working hard to build it up. It's quite accessible, regardless of genre, if you put in the effort. After that, it really becomes about making and refining your sound. It's super encouraging to see more and more people getting involved with the scene. That's what helps the scene thrive in the face of adversity. It's really starting to look primed to take off. A lot of bands out there seem to be on the rise and ready to make their mark outside Hong Kong. It's such an exciting time to be part of the scene here!